Without a doubt, stretch wrap is able to provide the highest levels of protection to your items. The loads that are bonded together with stretch wrap are much more secure, and this will definitely go a long way in minimizing the damage that happens to them while moving and shipping. The stretch films can offer protection from the sun’s UV rays to products that are sealed outdoors. You also enjoy a versatility when it comes to types of the pallet load. 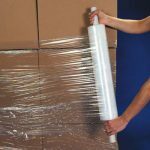 If you are looking to move your stuff and you have a pretty strict budget to adhere to, the stretch wraps are for you, thanks to their cost-effective advantage, you will be able to ensure proper item protection and still get excellent savings. Stretch wrap may also be used on suitcases and other packing requirements for airline flights.